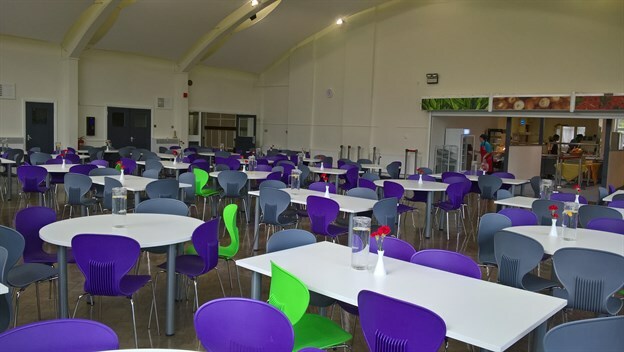 We are very pleased to have helped this school to solve the long-standing acoustic issue they were experiencing in their school dining hall. 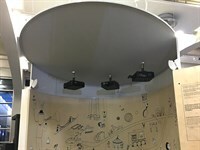 They had a very long reverberation time issue which made for an unpleasant experience for anyone in the room. We came up with a solution for the school using a very fibrous Molton fabric, which allows sound to pass into it and be slowed down locally. 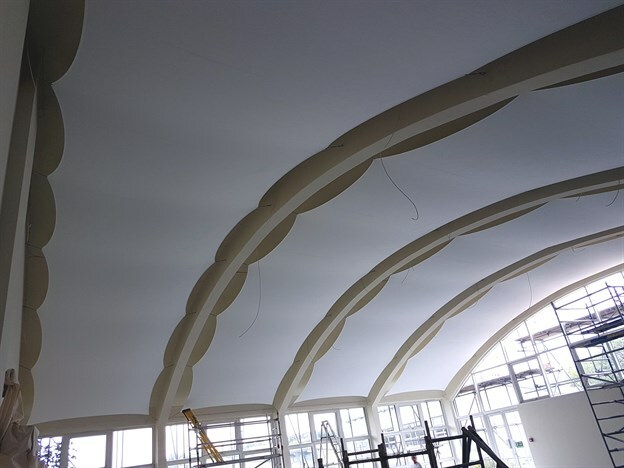 Installed over the entire four bays of the ceiling, the fabric sails are fixed via rigging screw tensioners to the down stand beams, and therefore follow the curve of the existing roof. 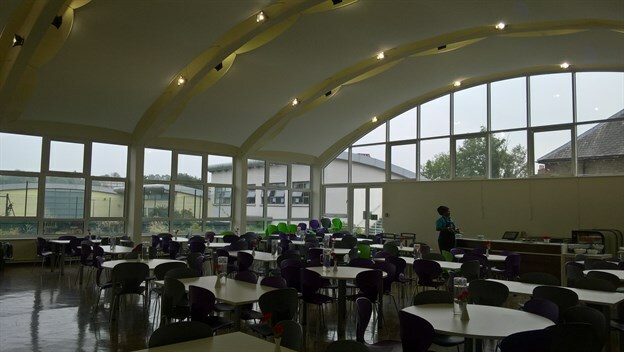 The sails create an attractive feature as well as helping to improve the space acoustically.